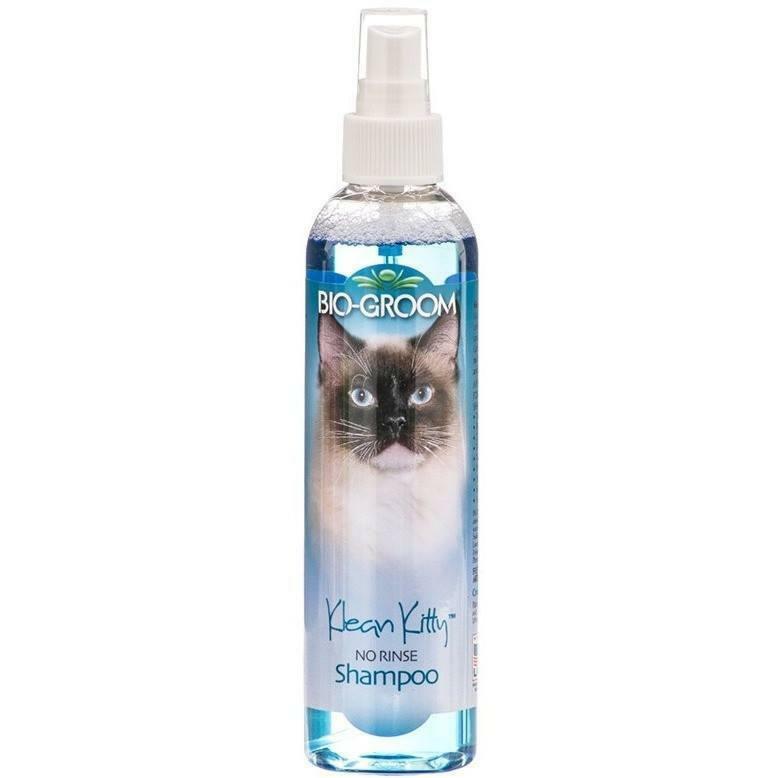 Klean Kitty"_ Waterless Shampoo is a short-cut to a bath. Contains conditioners that leave the skin and coat looking and feeling its best. Contains no harsh chemicals, leaves no irritating residue, is pH balanced and mild. Purified Water, cleansers derived from regrowable and 100% biodegradable sources of Corn, Coconut and Palm Kernel Oils, Sodium Coco Sulfate, Decyl Glucoside, Lauramidopropyl Betaine, PFG-75 Lanolin, Polysorbate 20, Chamomile, Lavendar Fragrance, Phenoxyethanol, Blue 1, Red 33.